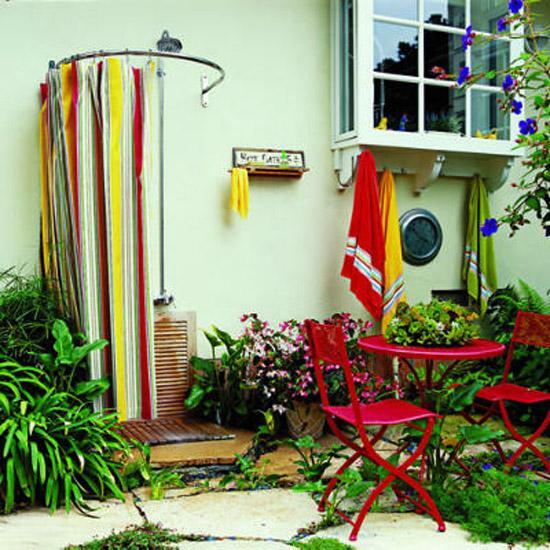 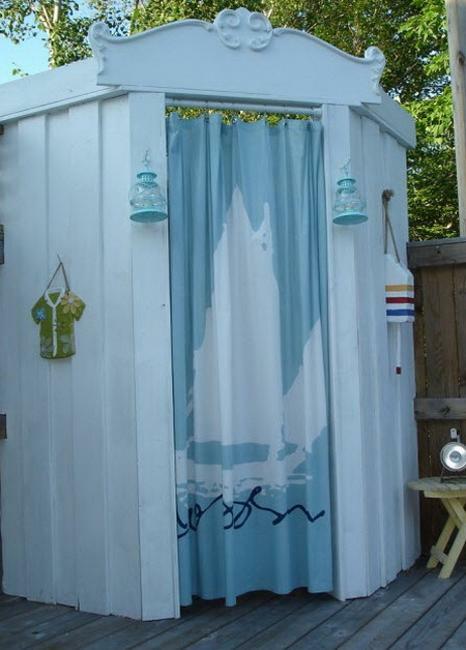 Traditional and modern shower designs for outdoor living spaces come in various styles. 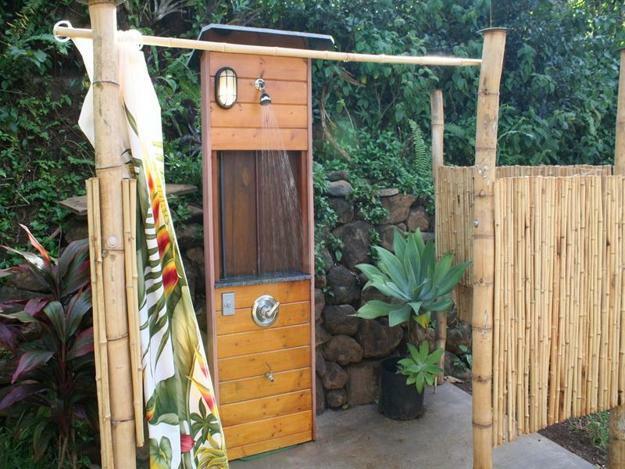 You can find many different ways to categorize outdoor shower enclosures. 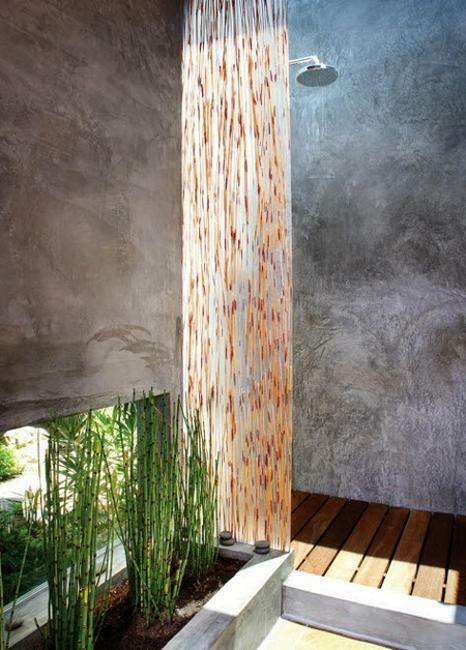 Made with natural stones and concrete, metal sheets and wood, with tiles and stone walls or created with outdoor fabrics, outdoor shower designs offer designs for every budget and taste. 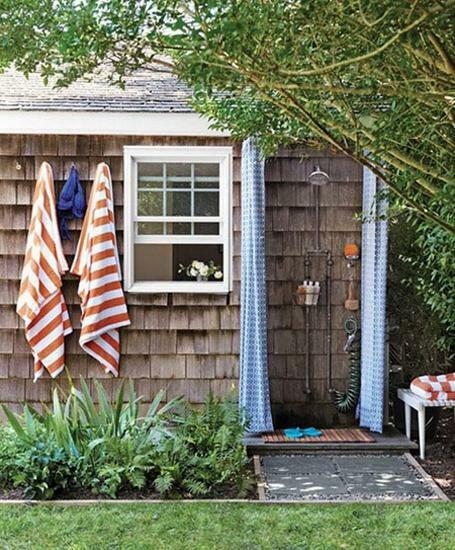 Outdoor shower enclosures vary in their shapes and decorating details, adding unique backyard designs to modern outdoor living spaces. 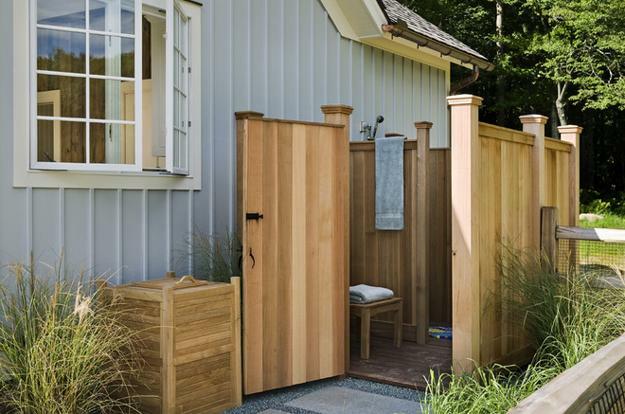 The stability and sturdiness of shower designs, cost, building and maintenance time of outdoor showers depend on their style and chosen materials. 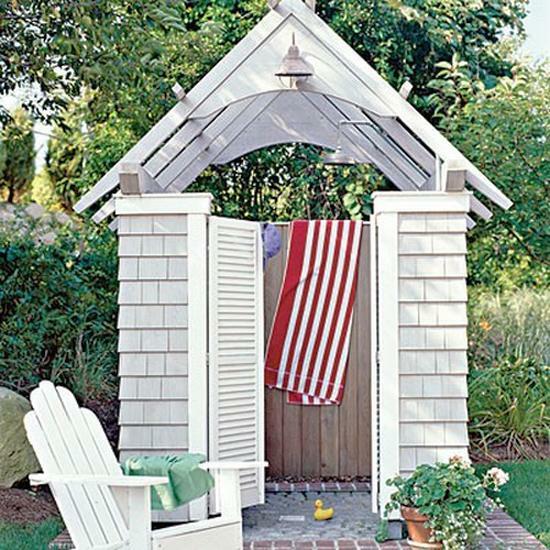 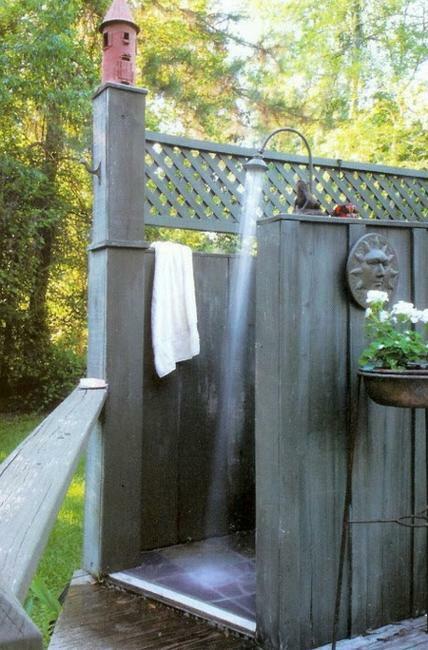 Outdoor shower enclosures made with metal or wood materials are sturdy, but need some maintenance. 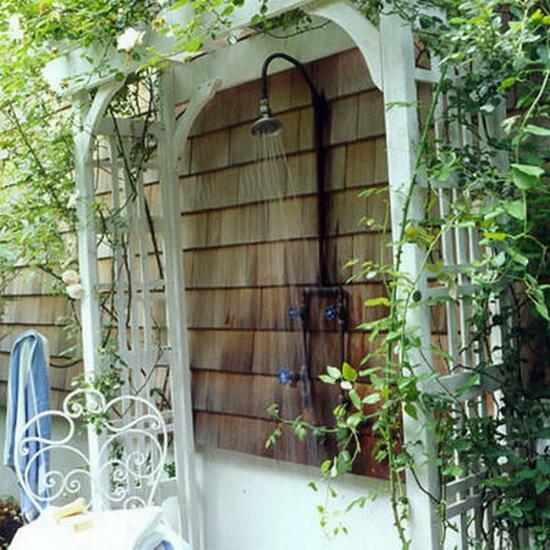 Wood and metal get damaged by water. 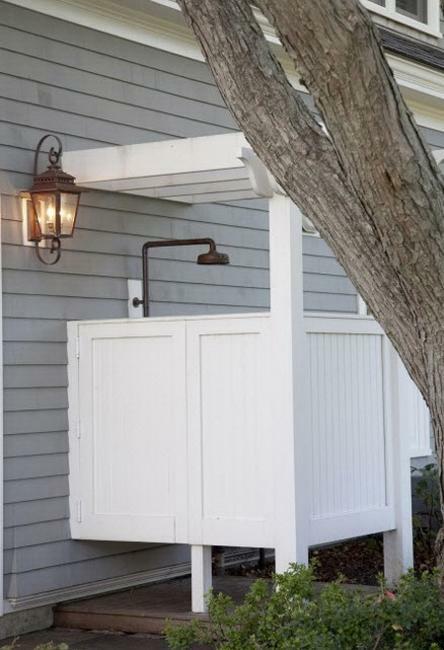 Metal and wooden shower designs for outdoor living spaces need to be weather proofed to withstand the elements. 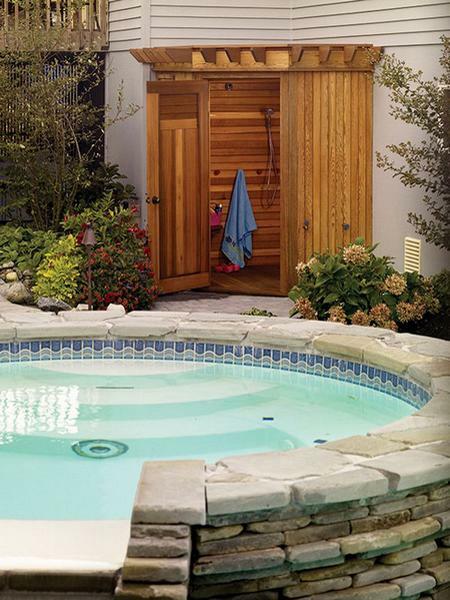 Wooden shower enclosures for outdoor living spaces are inexpensive and easy to build. 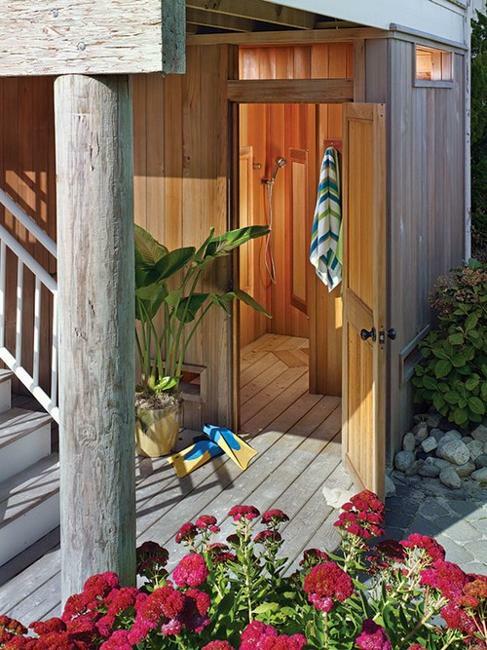 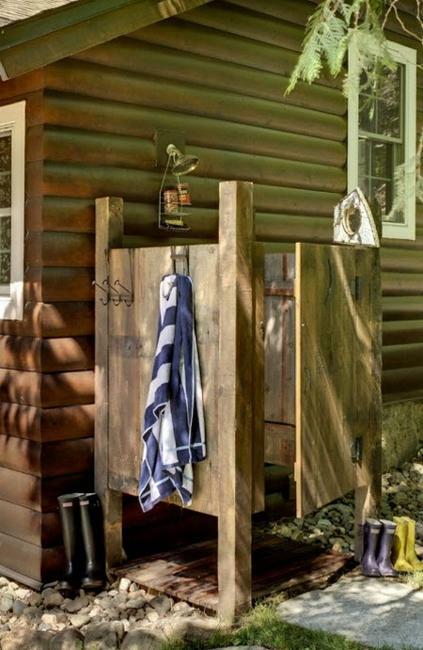 Wooden shower designs are great DIY projects to improve backyards and gardens and add stunning centerpieces that are functional and stylish. 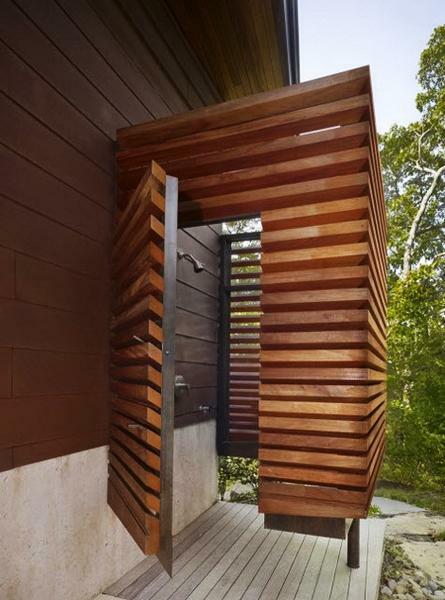 Though wooden shower enclosures have a fabulous natural look, these shower designs need a good sealer to protect the wooden structures from the weather and water. 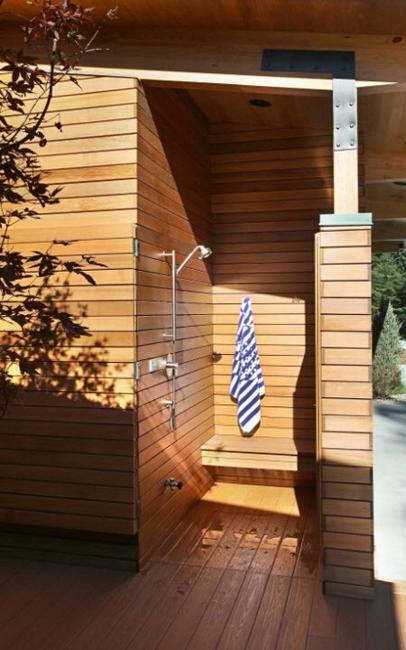 It is very simple to select a wood treatment or paint for the wooden shower enclosure. 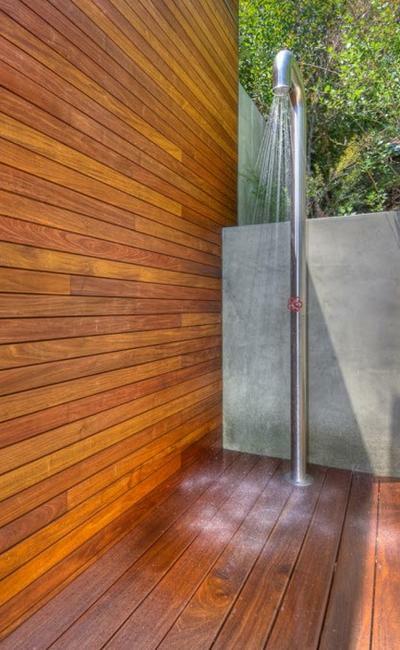 A layer of paint or sealer just compliments the wooden shower designs. 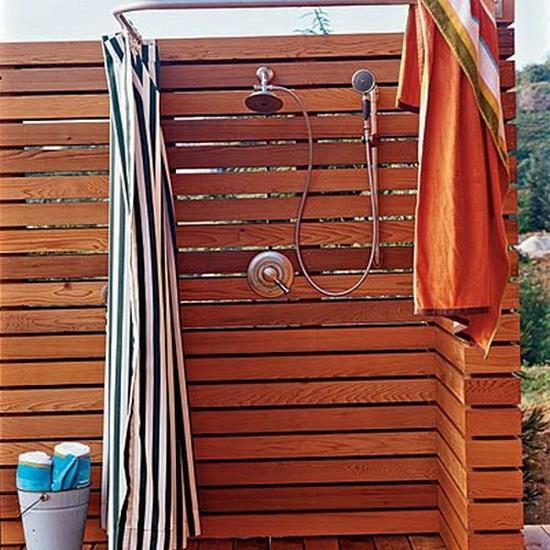 Shower enclosures made of pressure-treated wood, cedar, teak, Brazilian ironwood, even salvaged window shutters will hold up well outside. 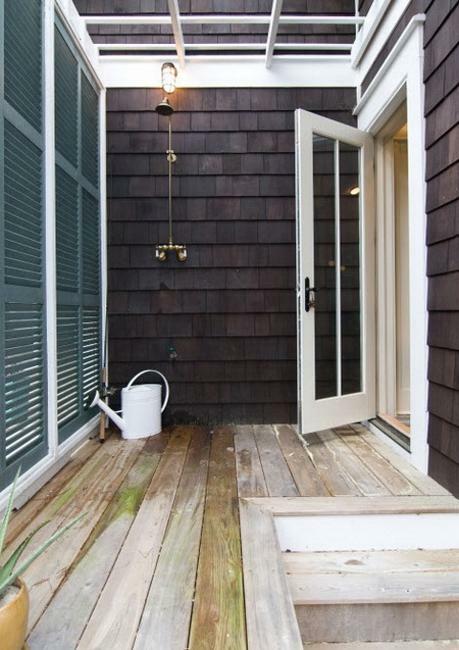 Wood is also suitable for floors, but like most decking materials, it should be treated to prevent mildew, fading and water damage. 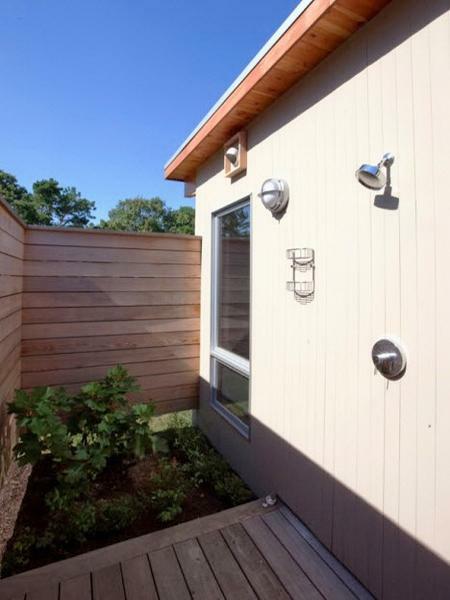 Modern metal shower enclosures vary in materials and design choices. 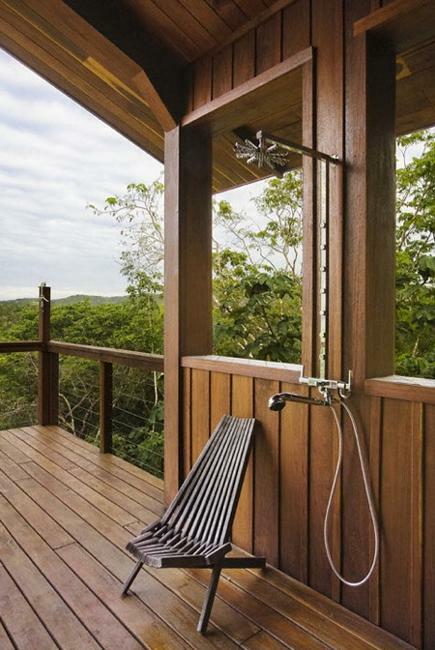 Metal shower enclosures for outdoor living spaces are strong, durable and sturdy. 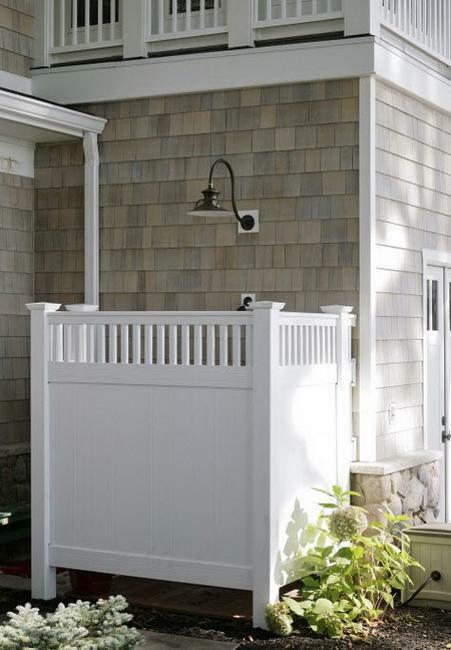 Metal structures need protection from water damage, and when damaged these backyard designs can be dangerous with their sharp edges. 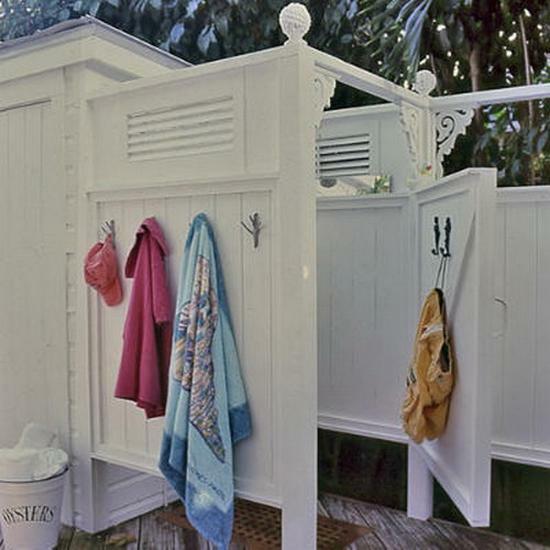 Various weather resistant metals are available in decorative forms for building outdoor shower enclosures. 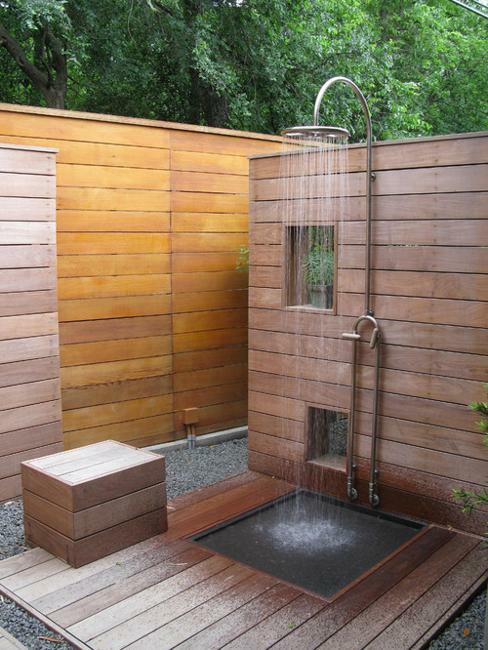 Bronze or copper fixtures are great for outdoor shower designs. 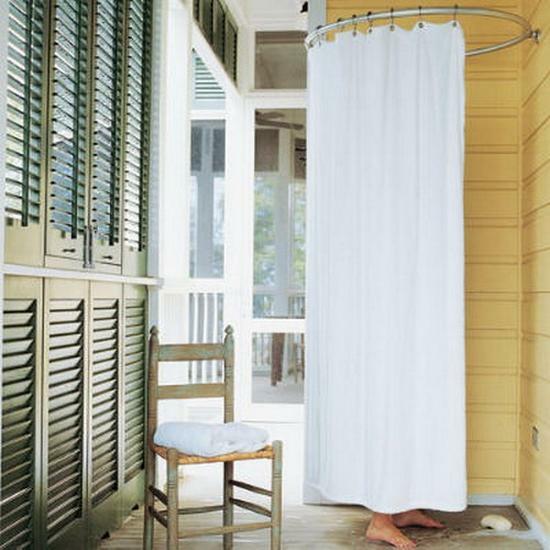 These metals develop a natural patina as they age, adding charming vintage look to shower designs. 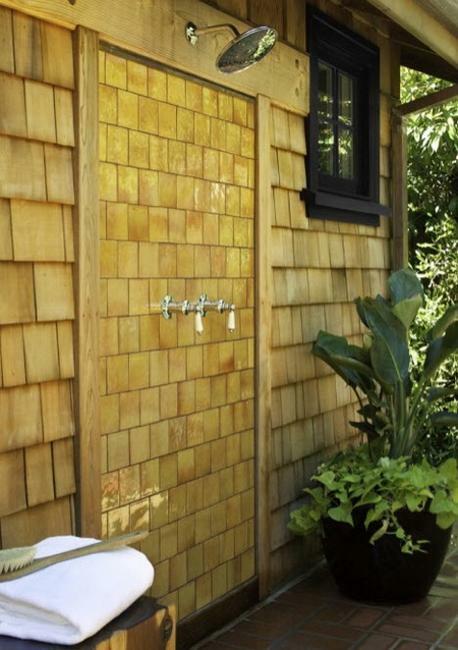 Brass also works well for outdoor shower enclosures. 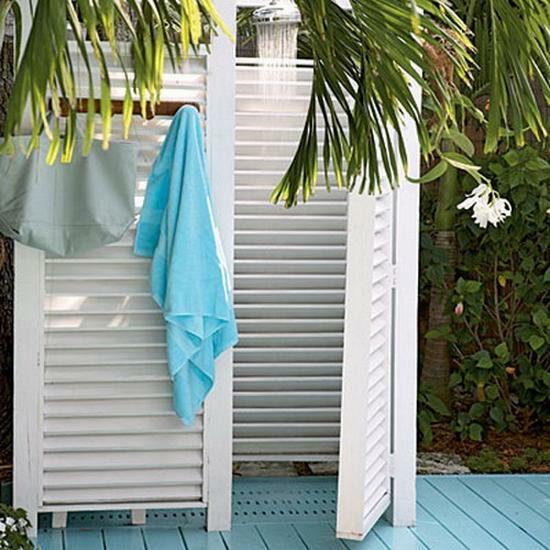 In seaside locations, where salty air can pit most metals, corrosion-resistant stainless steel and aluminum can be used for outdoor shower designs. 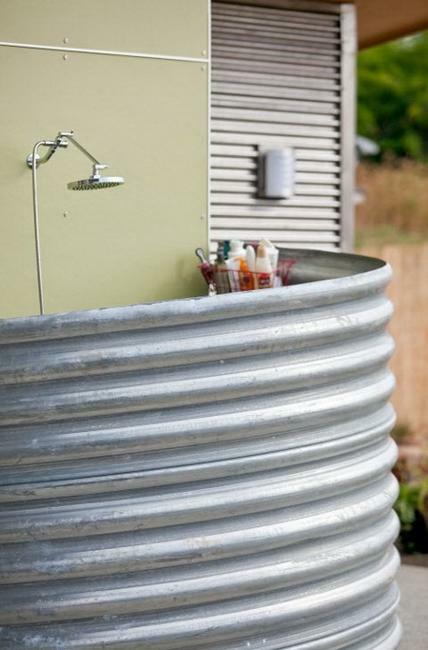 To keep stainless steel parts looking new, wash it down every couple of weeks with warm soapy water, rinse, and then wipe it dry with a soft cloth.